Our group was formed in April 2007 by two enthusiastic facilitators, Yvonne Corstorphin and Ngareta Ring. They were both passionate about sharing harmonies in the community, had some guidance on how to do it, but were tentative about stepping out and making it happen. Twenty-two people showed up for the first session, 12 of whom still sing with the choir. Our main focus was to sing world music in four-part harmonies, and we did this with gusto in the first few weeks! Although this brought us great joy (and still continues to do so), it became very clear after a short time that the friendships formed among choir members - and our involvement in activities within the community - were just as important and fulfilling. And this has become the strength of Cool Harmonies. 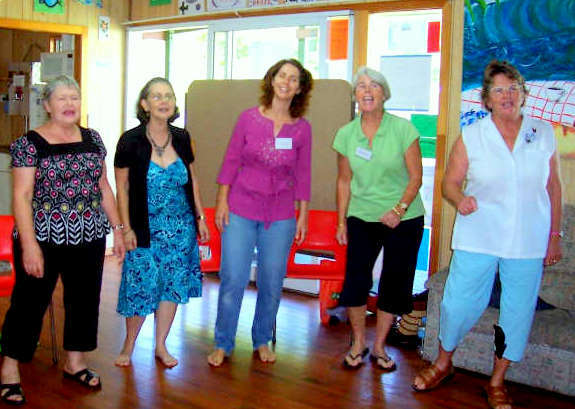 After a year, numbers in the choir outgrew the Coolum Community Centre where we rehearsed. As Ngareta moved on to form her own choir, we moved to the Uniting Church Hall to accommodate the 40+ members in the group. We also love performing for the elderly members of our community and have enjoyed some special moments sharing our songs with residents at local nursing homes. Our group is a special one that has a wonderful warmth, an incredible energy, a unique zest for life, and a support network that swells your heart. 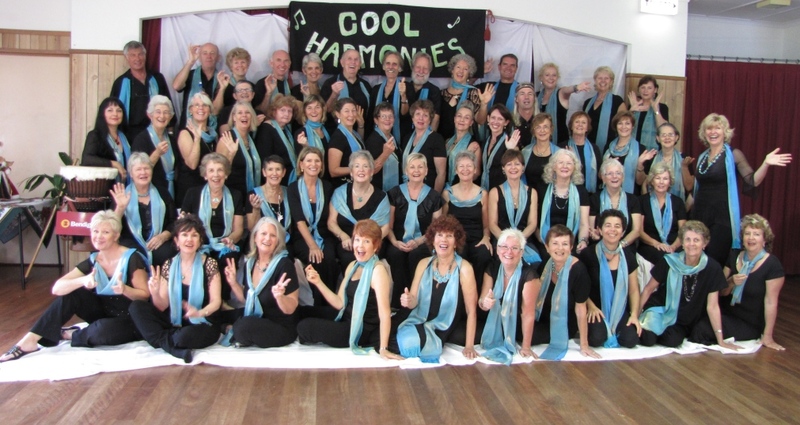 We welcome others in the community to come and join us as we not only share luscious harmonies, we share so much more that makes both our own lives and those of many Coolum residents a brighter and happier place to be.